Argie Phine has wowed the music world in a relentless fashion. She began singing in church at the age of 10. Argie is a native of South Carolina and has a long history in the music industry. She received vocal training for a total of 5 years at South Carolina State University, Orangeburg, South Carolina and Benedict College, Columbia, South Carolina. While attending SCSCU she toured with the college choir throughout the United States and with the Benedict College choir in the Caribbean after graduating. Being a singer of great versatility, Argie freelances as a studio vocalist and is a songwriter for various local artists throughout the United States and Asia. She has shared the stage with musical greats such as Randy Travis and Michael Bolton. Also, with Japan's hottest artists such as Ayumi Hamasaki, Yuki Koyonagi and Oda Yuji. While in Japan Argie appears regularly on Japan's Fuji Television and Tokyo T.V. 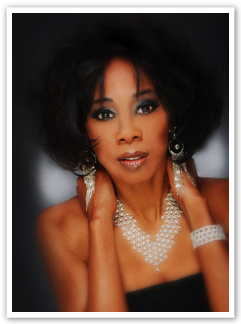 shows as a background vocalist She does a variety of music from Jazz, R&B, Blues, Motown, Standards, Pop and Oldies.